Standard cursor in Windows operating system has the form of little white arrows. When you hover over the area to call for help in any window, to the arrow added a little question mark, and when the program starts, the arrow turns into a circle. The operating system provides various options viewand the mouse pointer, but you can also ask yourself. - other types of cursors. To do this, click the "start" menu and select "control Panel". All service utilities for configuring Windows are located in this menu item, and configure your mouse settings is no exception. It is also worth noting that Windows Seven OS the setting of this option is the same. In control panel under "Hardware and sound" and then click "Mouse". Here you will find all the necessary parameters associated with the operation of the mouse pointer. In older versions of Windows such as Windows XP, under "Mouse" you can find in control panel, if the mode "Switch to classic view". If this mode is not enabled, then in the upper left corner turn it on by pressing the right mouse button on the tab "switch to classic view". Go to the tab "Pointers". Here you can select the system scheme, according to which will change the external appearance of the mouse pointer. You can customize the index entries for each display mode, and to upload any picture with a suitable extension ani or cur. The Internet presents many different options changes the cursor of the mouse. For example, you can try to download various kinds of cursors on the website oformi.net. Save the changes by clicking "Apply". It is possible to display all variants of your cursor will need to immediately reboot. Do this to update all parameters. Windows operating system offers many features to customize, which allows you to make standard shell comfortable environment for work and play. 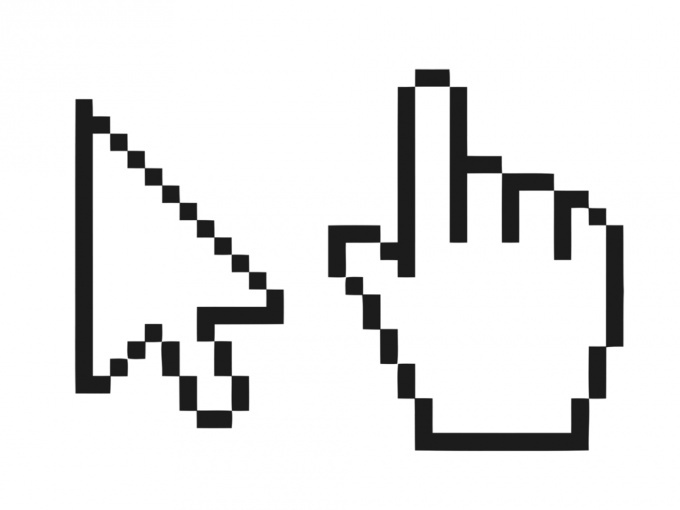 Such a simple and familiar mouse pointer can turn into a dinosaur or a tennis ball according to your taste. This operation on the computer, you can produce many times. If you do not like one kind of cursor, try changing to another.